Finding the best employees for your company shouldn’t be like placing your chips at the craps table in Vegas… With the right process and strategy, consistently hiring good employees is as achievable as any other goal. Check out these tips and reap the rewards of hiring better employees. More and more employers are asking their employees for referrals to fill their open positions and there are many advantages to doing so. Better quality candidates, better quality hires, hires that stay on longer and overall less time spent during the recruiting and hiring process. These are all benefits of hiring employee referrals. Do you know what key skills and attributes (factors) you’re looking for in your new hire? Do you know which skills will facilitate success for your new hire? It’s imperative that you know the answers to these questions if you want your next hire to have a high chance for success. If you don’t already have a job description for the position, now is a good time to write one up. Don’t know what skills will improve a new hires chance for success? Talk to people in the same or a similar position right now and ask them what skills and attributes they feel allow them to do their job better. 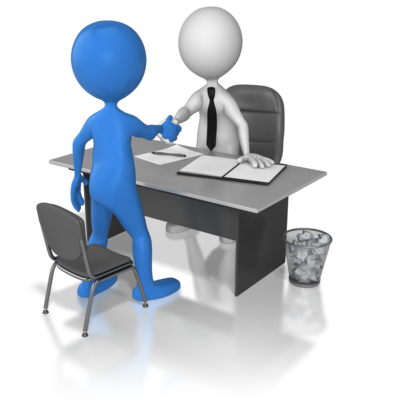 Do you conduct exit interviews? Make sure to ask predecessors their opinions on these questions as well. Also talk to people within your organization that work closely with that position as well as customers outside your company and find out what they think are key skills and attributes to performing well in that position. Once you feel you have a good idea for what skills you’re looking for, make sure to jot them down so you can continue to refine them until you have a clear picture of what you’re looking for. Now that you know what you’re looking for, the entire hiring process should revolve around making sure the person you’re thinking about hiring has the skills and attributes that will make it easier for him or her to do well once hired. Obviously this will be much harder for some positions (management positions are notoriously hard to hire for) than for others but the key is that you have to come up with some kind of test or process to determine whether or not the employee you hire will be able to do the job you hired him or her for. You’d be amazed how often companies hire programmers without ever asking them to write code before they make them an offer. If you’re hiring a programmer, don’t you think it would be advantageous to have them write a few lines of code for you so you can access their skill level? Of course it would! Too many organizations depend on interviews to determine whether or not applicants will be able to do the job they are being considered for and that is a recipe for failure. Since you already know which skills will facilitate success it only makes sense to develop some sort of test or process (set of interview questions) that will help you determine if applicants are capable of doing the job. This is usually referred to as a “job sample assessment” and it’s key to consistently making better hires. This is much more of a subjective question but just as important none-the-less. After you’ve determined that the applicant can do the job, you also need to determine if the applicant is motivated to do the job. Why do they want to work with you or your company? This is where you need to find out as much as you can about their work ethic and attitude. Check out their resume and see if they have a history of being promoted. Or do they have a history of jumping from job to job? According to Inc.com, “To consistently hire great people, you need multiple perspectives.” Most interviewers, knowingly or not, are biased in some way shape or form and that affects their decision making. Often the reason we like someone is not based on rationale thought but rather some bias. It could be the interviewee’s appearance, their smile, the way they talk, how they carry themselves, you may have a friend in common or they may just remind you of someone you know. Any way you look at it, the reason you like the applicant has nothing to do with their ability to do the job. To cut down on this bias, it’s a great idea to involve others in the interviewing process to obtain multiple perspectives. We don’t all share the same biases so through multiple sets of lenses, we have a better chance of seeing the applicants objectively. It’s also not a bad idea to have applicants interview with co-workers that they’ll be in constant contact with to see how their personalities mesh. The bottom line is that multiple perspectives are better than one. The unfortunate truth is that people lie on their resumes and applications. Dishonest employees rarely make good employees and you definitely want to know about a criminal record or falsifications on a resume prior to making a job offer. Running a background check on prospective hires can help eliminate a lot of potential risk and headaches. We all know that most, if not all applicants, will solely list references that will only speak highly of them so we’re obviously not getting a really good assessment of the candidate through the references they prvide. And that’s where LinkedIn, the professional networking site, comes in. Of course, I’m biased on this one but pre-employment assessment tests are a great way to find out more about potential candidates and ensure that the person you’re hiring has the right skills and characteristics to perform well on the job. Pre-employment assessment tests can be used to help hiring manager’s better screen candidates and help them select the best candidate for the job. Ultimately, pre-employment tests can help companies reduce costs associated with turnover, improve employee retention and increase productivity and these are all metrics that any employer would like to see improved. For more tips on hiring better employees, please follow us on our blog and on Twitter at https://twitter.com/mikespremulli. Are you in the process of hiring an administrative assistant? Don’t make that job offer until you watch this tip. This one suggestion could change the way you think about administrative assistant requirements forever! Today’s instant hiring tip is about hiring administrative assistants. Here’s one of the biggest mistakes I see some of my clients making throughout the country. It seems a lot of hiring managers are under the impression that administrative assistants need to be huge extroverts with really outgoing personalities. You know people that love to talk, are outgoing and just always seem to be at the center of attention. I’m not sure how that trend got started but in my experience extroverts aren’t necessarily your best choice for administrative assistants. Unless, of course, they also act as a receptionist and interact with people on a continuing basis you generally don’t want an outgoing personality in an administrative assistant role. In my experience an administrative assistant position is better suited for people that are bit more low-key and reserved and prefer to work behind the scenes. Extroverts make great sales people but in an admin assistant role they can struggle as they yearn for more social interaction. An extrovert with an outgoing personality may feel compelled to interact with others in the organization with they should be providing critical support. Imagine yourself delegating critical tasks to your administrative assistant who would much rather be walking around the office chatting it up with co-workers than providing a consistent and reliable direct line of support to you. When hiring personnel we just have to submit to the fact that certain people/personalities are going to be predisposed to certain behaviors and will be ideally suited for some positions and not so much for others.